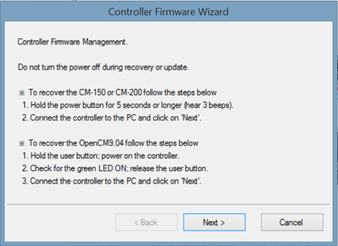 The OpenCM9.04 firmware can be updated* or recovered via RoboPlus Manager. 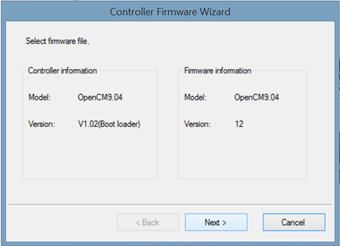 *The OpenCM9.04’s firmware is automatically updated to the latest version when the controller is recovered. update the entire suite of software or click on Check for updates in each program to update that program. 1. 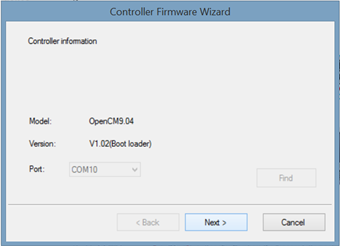 While holding down the OpenCM9.04’s User Button, connect the controller to your PC via micro USB cable. Once the cable is connected, the Status LED should turn solid green. 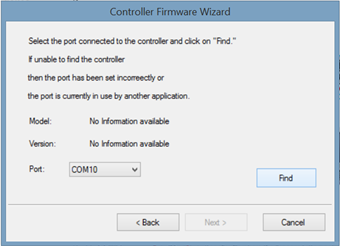 If you are recovering via BT-210 or LN-101, hold down the User Button before powering on the controller. Once the power is switched on, the Status LED should turn solid green. 2. In RoboPlus, run RoboPlus Manager. 3. 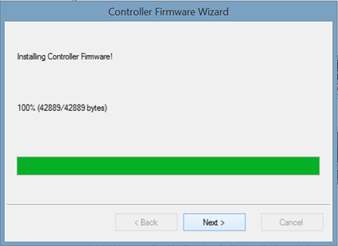 Click on the Controller Firmware Management icon. COM Port Number when it is connected via USB cable. 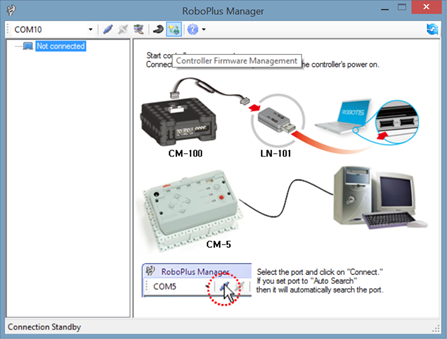 If you are connected via LN-101, search for USB Serial Port (COM##). 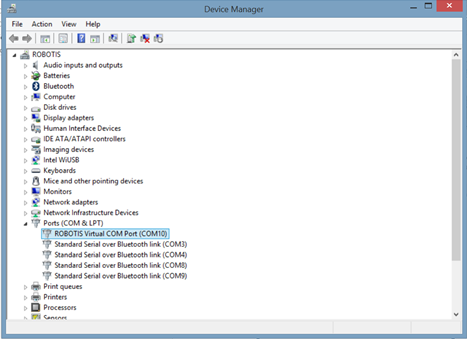 Standard Serial over Bluetooth link (COM#). 9. 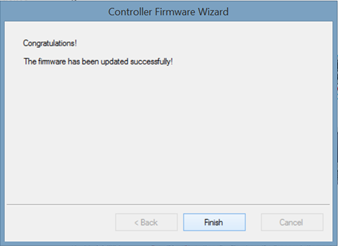 Click “Next” once the controller firmware has finished recovery/update.